Sierra Club BC has a long history of working closely with First Nations communities across the province. The Education Program collaborated with Coastal First Nations to produce the Going Wild! guidebook, which inspired our current People & Plants workshop for grade 3-5 students and First Peoples Principles of Learning inform the work that our Kirsten, Environmental Educator, does in classrooms and school yards throughout B.C. Over the past eight months, Kirsten and I have been honoured to collaborate with knowledge-keeper Charlene George~kQwa’ste’not, an educator and textile artist from T’Sou-ke, a community that bridges the Coast Salish and Nuu-Cha-Nulth territories. Charlene has helped us to refine the four workshops that our team offers to students across the province by bringing her unique perspective and many of the teachings that she carries with her to both the content and delivery of our programming. She has encouraged us to make sure that we are addressing all aspects of the students that we work with, not only mental and physical but also emotional and spiritual. As a recently-arrived visitor in Lekwungen territory, learning about local Indigenous cultures, residential schools and reconciliation have been major themes in my personal and professional journey over the past year. The Education Program’s relationship with Charlene began in March when I attended the one-day course that Charlene teaches at Royal Roads University called Aboriginal Ways of Being and Knowing: Introduction to Coast Salish Culture. I highly recommend this course! 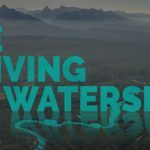 Another important part of my ongoing journey took place in June, when the entire Sierra Club BC staff attended a full-day Cultural Perspectives Training in Langford facilitated by the Indigenous Perspectives Society. This workshop and the associated online training were excellent learning opportunities and touched me deeply. I also joined a number of my fellow staff in a visit to view Carey Newman’s Witness Blanket, which was an incredibly profound experience. More recently, I am grateful that I was able to attend a wonderful event at the Victoria Native Friendship Centre last week. 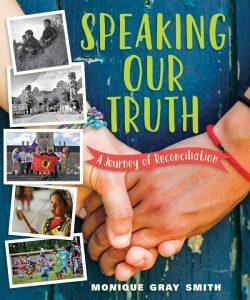 Monique Gray Smith spoke with Shelagh Rogers about her new book, Speaking Our Truth: A Journey of Reconciliation. 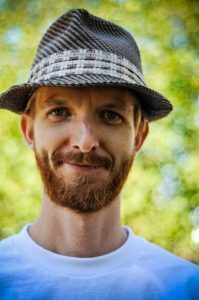 The book is geared toward young readers with the goal of educating them about residential schools and reconciliation, but has a wealth of stories and insights for readers of all ages. Buy a copy at your local independent bookstore or order it from the publisher today! The website for the book also contains a huge amount of valuable information. We continue to strive to weave reconciliation into our education work here at Sierra Club BC and my personal journey is far from over. I am so thankful for the love and patience shown by all of the teachers I have encountered along the path thus far. Feature image by Mike Ambach.